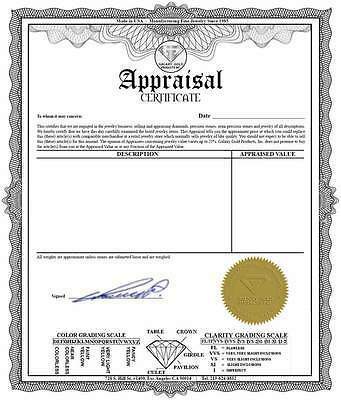 $1,660.00 This item is selling for $1,660.00 on eBay. ITEM TITLE 14K. 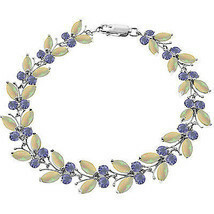 WHITE GOLD BUTTERFLY BRACELET WITH OPALS TANZANITES This 14 karat Bracelet captures the summer season with its fluttering Butterflies decorated with Natural Opals and Tanzanites. Condition: New Part Number: 2632-W Model: 2632-W Material: 14K White Gold Total Carat Weight (TCW): 10.50 Metal: Whitee Gold Main Stone: OPALS TANZANITE Theme: Beauty Metal Weight: 11.80 gr. 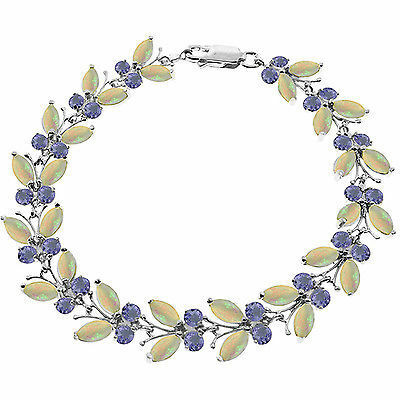 Gemstones: 30 Marquis shape, 6X3 mm, Opal = 7.50 ct30 Round shape, 3.0 mm, Tanzanite = 3.00 ct ABOUT Over 30 years in the jewelry business, Galaxy Gold Products, Inc. is a well-known institution in the Jewelry District in Downtown Los Angeles. Behind the company are jewelers who have been in the business since 1985, bringing to life exquisite creations from our in-house designers who have unmatched eye for beauty. Creating breathtaking fine jewelry is our passion. We are famous for our simple yet head turning designs. Our expertise is designing affordable jewelry without sacrificing quality. Being the direct manufacturer allows us to offer you the best value for money. Cut the middleman costs and retailer mark up fees, and what do you have? Beautiful jewelry at a much lower price compared to the Suggested Retail Price. When we say great deals, we mean great unbeatable prices only a true jewelry manufacturer can provide! Feel free to contact us at (213) 624-8812 if you have any questions. PAYMENTS Immediate payment via PayPal is the only form of payment we accept. Credit Card (Visa / MC/ AMEX) payments can be made through PayPal (you do not need a PayPal account to do so). We do not accept personal checks. Customs fees, import duties, taxes or other charges may be added to your order by your local customs office for orders shipped outside of the US. We are not responsible for charging or paying these additional fees. Your local customs office can be contacted to find out rates and policies regarding any additional charges. DOMESTIC SHIPPING We offer FREE SHIPPING for all domestic US purchases via FedEx Express Saverwithin 2 business days from date of purchase. FedEx Overnight options are available, please see our shipping rates table for more details. All purchases over 500 in value will automatically include signature confirmation for delivery (please make sure someone will be there to sign for it). Combined Shipping: Please wait for a revised invoice if you want to combine multiple orders into a single shipment. It is best to request for a combined invoice prior to your purchases or to leave a memo on the orders when making payment through PayPal. Contact us at 213-624-8812 if you have any special or URGENT shipping requests. INTERNATIONAL SHIPPING We only ship via Federal Express (FedEx) to International countries. Jewelry is no longer allowed to be shipped via USPS Priority Mail or Express Mail outside of the US. All International buyers are responsible for the customs, duties, or taxes imposed on their purchases. All customs and duties forms will includes the ACTUALvalue of its contents. Delivery may take as early as 2 weeks and as long as 4 weeks, depending on how long your item clears your country's Customs. If your package has not turned up in 45 days, we will make the claim ourselves. We suggest multi-item buyers to request FedEx shipment for safer delivery of your items. RETURNS Galaxy Gold Products wants our customers to be satisfied with their purchase. If you find that for any reason you are not completely satisfied with your order, it may be returned within 14 days in its original condition (new unused with the original tag, box, and appraisal certificate) for a full refund. Shipping and handling charges and additional fees, such as ring sizing, are not refunded. Before returning your item, you must contact us to get instructions on how to return your item. Failure to contact us prior to shipping your item back will result in a considerable delay in processing your return. Please be aware that most of our returned items are because of the disappointment in size or color of the stone. As with all natural gemstones, there may be slight variations in color depth and hue as well as the setting for the display or monitor you're using to view the item. Please feel free to reach out to us at 213-624-8812 if you have any questions about our gemstones and jewelry pieces.